Cribben is a privately owned and proudly Canadian business that supplies quality printed products with friendly, helpful customer service at the lowest possible price. From standard printed product such as business cards and flyers to special customized projects, our professional team members are always eager to help with all your printing needs. We value your business and make it our mission to provide reliable products and services with on-time delivery. We take pride in our work and continue to meet competitive challenges. As print industry evolves, so do we and our strong relationship with equipment suppliers ensures we keep maximizing our print productivity. Located in Mississauga Ontario, Cribben has been serving the Greater Toronto Area in Southern Ontario for over 25 years! Recognized as a leader in the commercial printing industry, we continually use the latest in production technology and design that allows us to produce full colour, spot colour and digital printing. 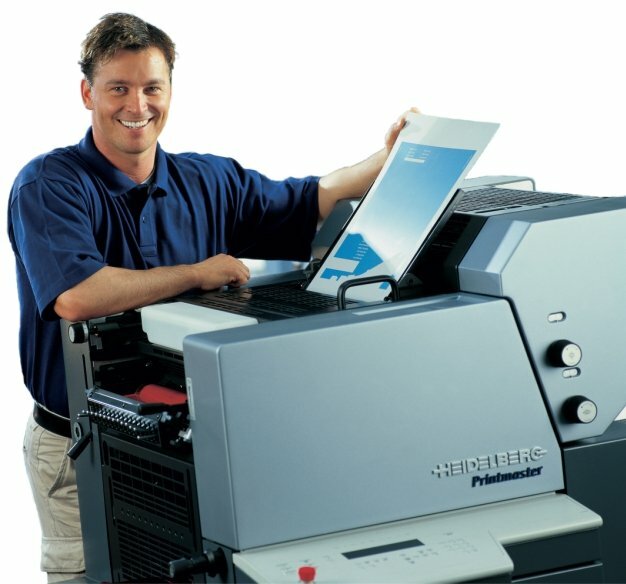 Equipment includes Heidelberg Printmaster® 2 colour, Heidelberg Speedmaster® 4 colour presses and Halm Jet Press dedicated to Hi-Speed Envelope printing of any size or type. Our Xerox 700 production printer handles our, short run, digital print requirements that produces vibrant colour and incredible resolution. Forest Stewardship Council (FSC) is the only international certification system that identifies paper products that come from responsibly managed forests, and verified recycled sources. It was in 1993 that environmental groups, industry labour unions, consumers and First Nations people along with the forest industry met in Toronto to form the FSC. The newly formed organization worked with these groups to establish the guidelines for responsible forest management.